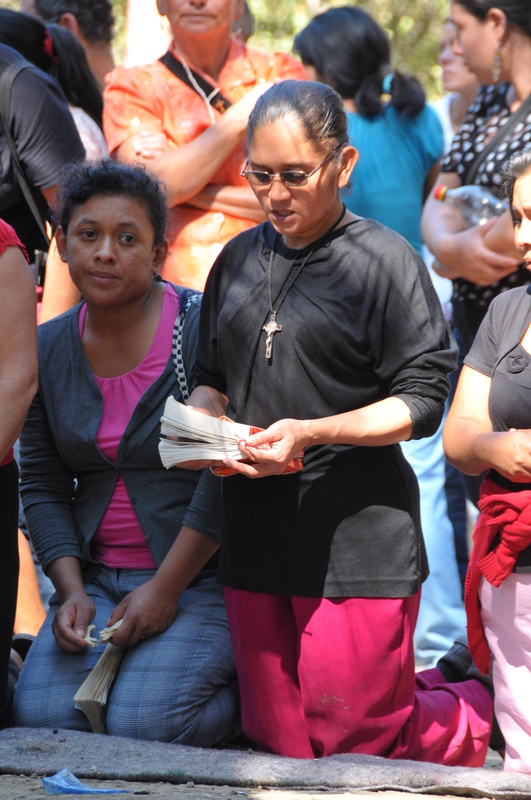 Thanks to a donation for student scholarships given by St. Margaret’s Church in Annapolis, Maryland, GHRC was able to provide a unique symbolic contribution to the children of the political prisoners of Santa Cruz Barillas. A total of 13 girls and 15 boys received funds to support their school expenses for 2013. 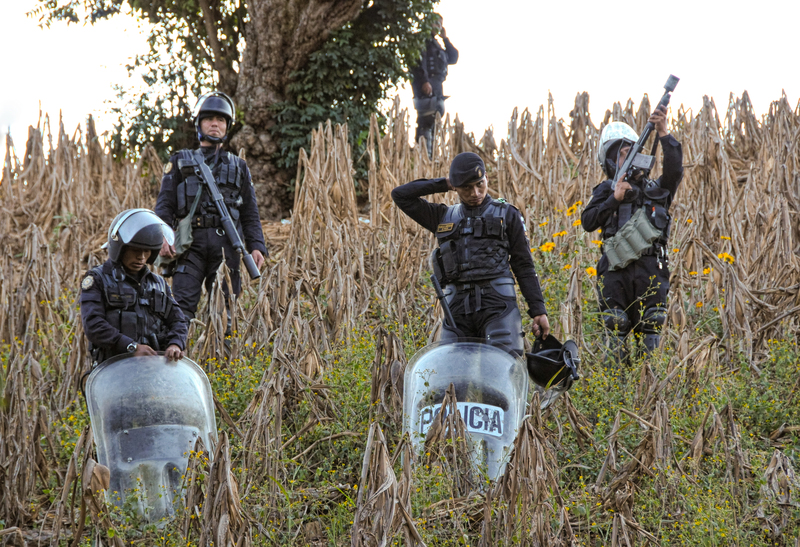 The students and their families have been in a vulnerable position for the last 8 months awaiting the fate of their parents, who were detained in May 2012 during the State of Siege declared in their municipality by President Otto Pérez Molina. There were various irregularities during their detention, including their arrest and delivery by civilians to the police and military and the charges against them, claiming their responsibility for disturbances in the municipality. 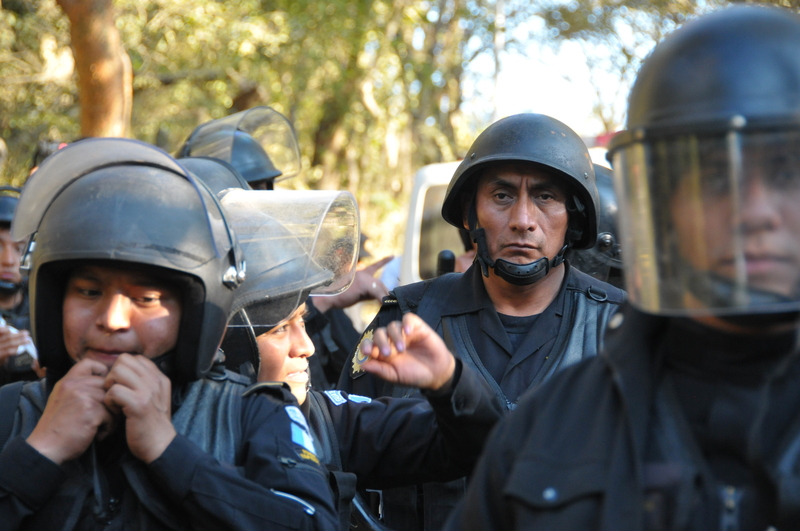 However, those arrested are recognized and respected leaders who have distinguished themselves in defense of their land, particularly in their fight against a hydroelectric dam, funded with Spanish capital, along a river that is important for their communities. On January 1, 2013, Judge Luis Fernando Pérez Zamora of Santa Eulalia ordered the immediate release of the 8 detainees and rejected all civil or legal action against them. 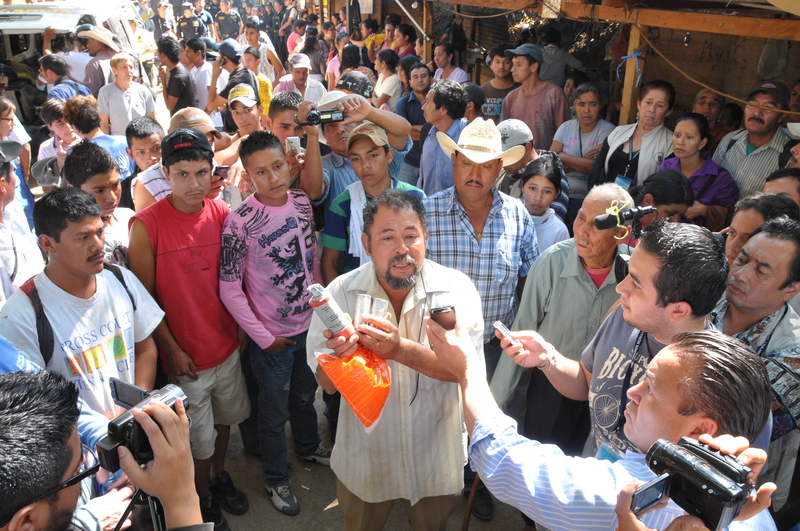 All of them – Diego Juan Sebastián, Andrés León Andrés Juan, Joel Gaspar Mateo, Ventura Juan, Antonio Rogelio Velázquez López, Pedro Vicente Núñez Bautista, Saúl Aurelio Méndez Muñoz y Amado Pedro Miguel – were declared innocent of the charges brought against them. 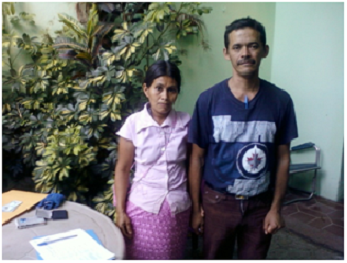 In the months that passed from their detention until their release, their wives and partners were faced with complete responsibility for their families. Economically, the situation was difficult, as the cost of going to Santa Eulalia to attend court hearings and to the capital to visit the prisoners in the preventive center where they were held was added to the families’ regular expenses. 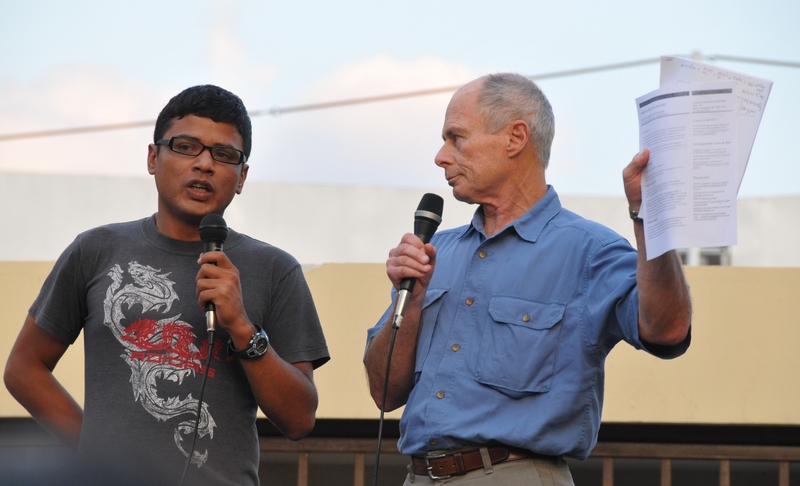 GHRC distributed the scholarships on January 11, 2013, a day after the leaders of Santa Cruz Barillas were released. They went to all the children of 7 of the detainees and additionally, the children of two community leaders who have suffered persecution since May 2012. 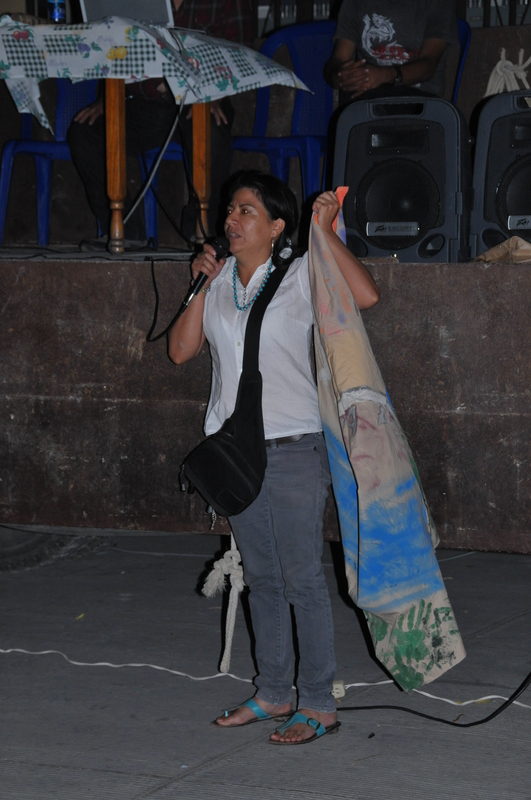 In an interview with Arcadia Aurora Velásquez López, community leader of San Carlos Las Brisas in Santa Cruz Barillas, she explained that since she was forced to leave her house on May 2, 2012, she has been unable to return. 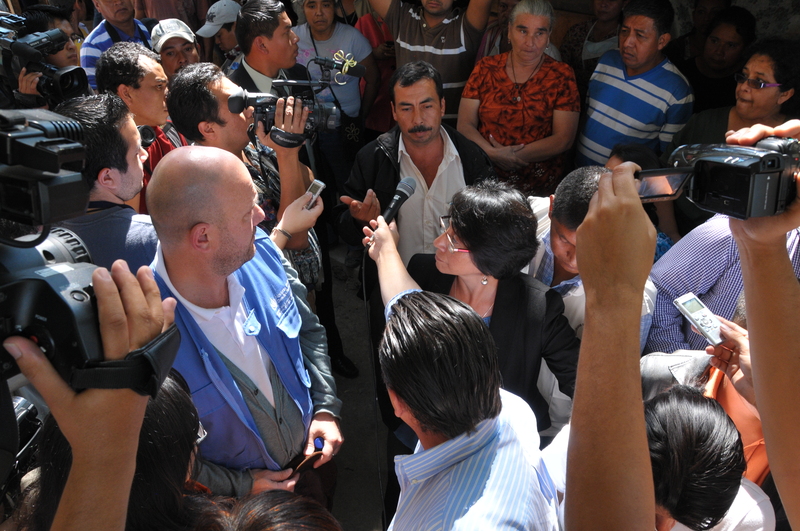 She was issued an arrest warrant without any legal basis, her only crime was speaking out against abuses committed by the company Hidro Santa Cruz. 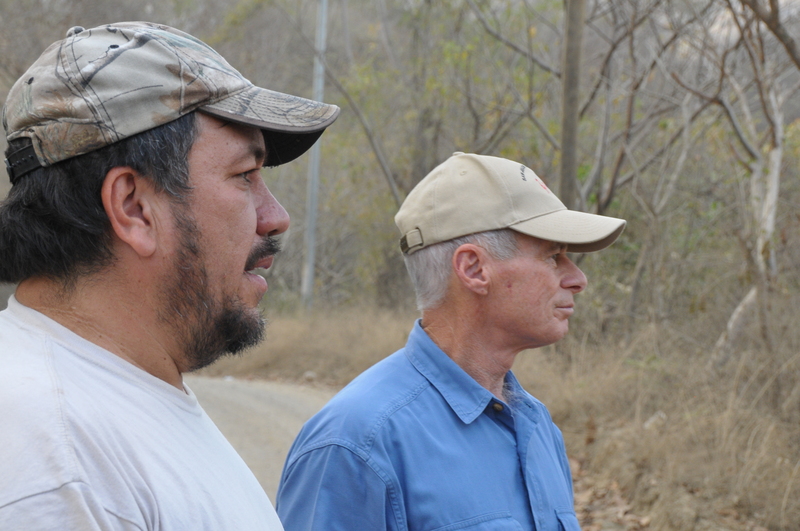 Robert H. Robinson visitó el punto de resistencia en La Puya, San José del Golfo; conversó con la población, llegó al lugar en donde la mina pretende instalarse y escuchó de voz de sus protagonistas sobre la historia de resistencia pacífica que desde marzo de 2012, la población de San José del Golfo y San Pedro Ayampuc han mantenido. 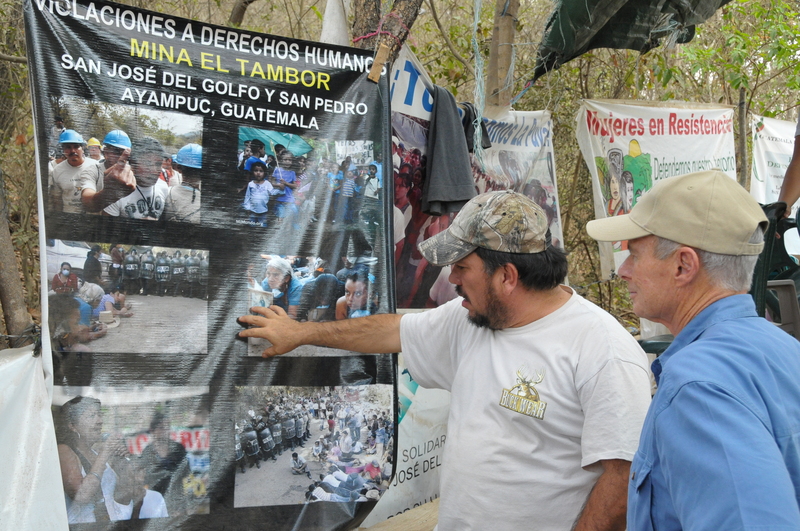 Robinson y Steve Laudeman, realizaron un análisis al Estudio de Impacto Ambiental de la Mina Progreso VII Derivada (El Tambor). El pasado miércoles 13 de febrero Robinson hizo una presentación del estudio en San José del Golfo. 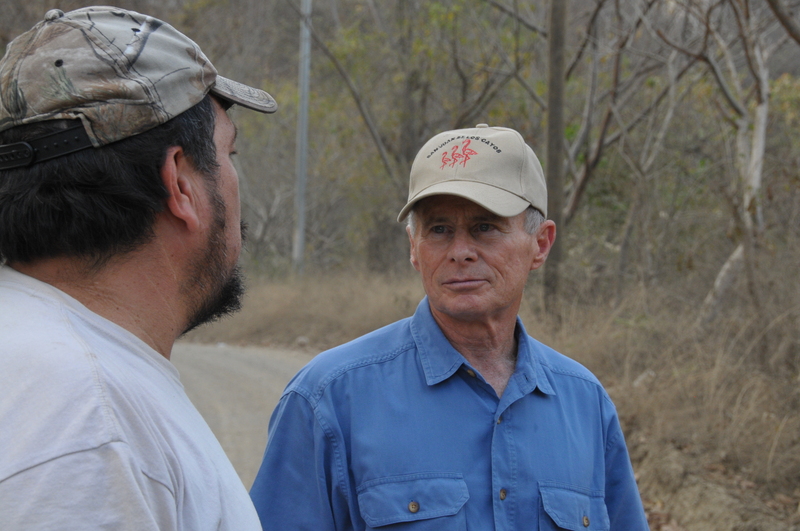 Milton hace un recorrido a Robinson para que conozca el lugar en donde pretende instalarse la minera. En La Puya, Robinson conoce acerca de la resistencia pacífica, escucha atento sobre las acciones de provocación hechas por supuestos trabajadores de la mina en noviembre y la intimidación y violencia de la que fue objeto la resistencia en diciembre. Robinson hace la presentación del análisis realizado al Estudio de Impacto Ambiental hecho por la empresa minera, explica sobre las enormes deficiencias que tiene, pero sobre todo de los enormes riesgos de salud a los que la población cercana a la mina estaría expuesta. La recomendación es clara: suspender la licencia a la Mina Progreso VII Derivada. 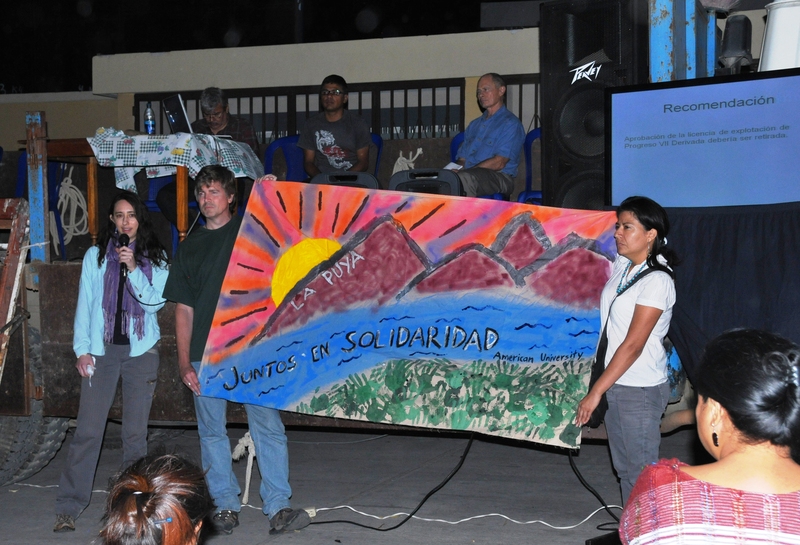 Al final de la presentación, Kelsey Alford-Jones, Directora de GHRC, hace entrega de una manta elaborada por la delegación de estudiantes de American University, que visitó La Puya en enero pasado: “No están solos, su lucha tiene un impacto mucho más allá de lo local, de lo nacional, alcanza la comunidad internacional, hay mucha gente que está realmente impresionada con todo el esfuerzo y la lucha que ustedes han llevado a cabo”. Yolanda Oquelí, habla sobre la importancia del estudio presentado por Robert Robinson, que reafirma que su preocupación y lucha son legítimas “el no se imagina lo que ha aportado para nosotros…”, con emoción Yolanda expresa que saber que mucha gente en otros países se siente parte de la lucha no tiene precio y no lo paga ningún dinero del mundo. El líder comunitario Álvaro Sandoval da declaraciones a los medios. Bomba lacrimogena utilizada por la PNC en contra de la población, varios niños y niñas sufrieron intoxicación. Gobernación desplegó entre 400 y 500 antimotines y agentes de la PNC y más de 60 radiopatrullas para realizar el desalojo. 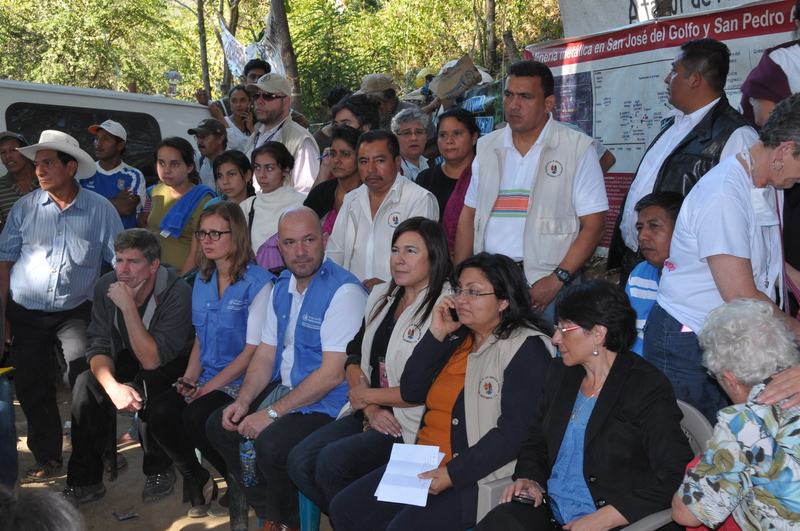 Organizaciones de Derechos Humanos: GHRC, OACNUDH, PDH y Fundación Sobrevivientes, escuchan los planteamientos de las comunidades. Yolanda Oquelí dialoga con el viceministro de seguridad, Edy Byron Juárez Prera, para buscar una solución pacífica al conflicto provocado por la presencia de los antimotines. Yolanda sintiéndo la presión de proteger a los hombres, mujeres, niños y niñas de la resistencia. Para evitar el desalojo violento inminente, se permitió la presencia de 15 agentes antimotines en la entrada de la mina. Sin embargo, la resistencia de las comunidades a la minería se mantiene. La comunidad celebra la liberación de Milton y los otros tres hombres injustamente arrestados por la PNC. 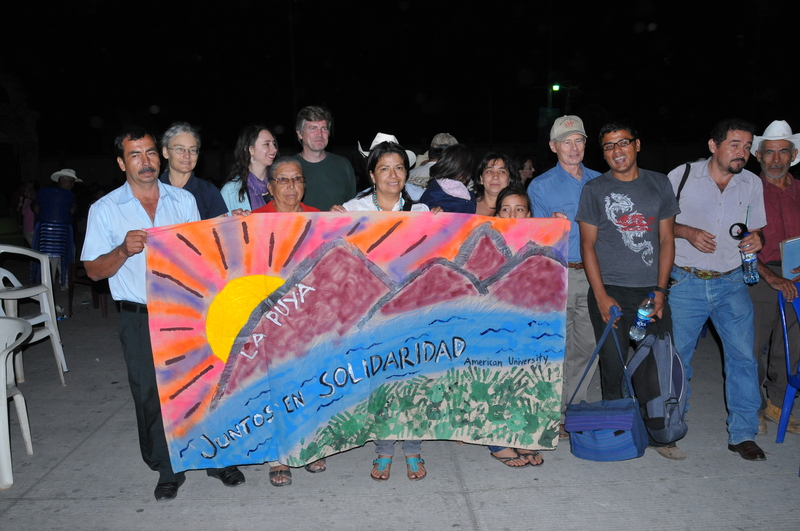 Communities in Resistance in San Jose del Golfo under attack. In response to the threat of eviction, women’s organizations gathered in front of the Interior Ministry demanding a peaceful settlement to the problem. At 6am, anti-riot police arrived at the roablock in San Jose del Golfo and began tearing down the banners and other installations. They also arrested at least 5 people for supposedly obstructing the road, though the protesters have only been blocking the entrance of mining equipment, not other traffic. 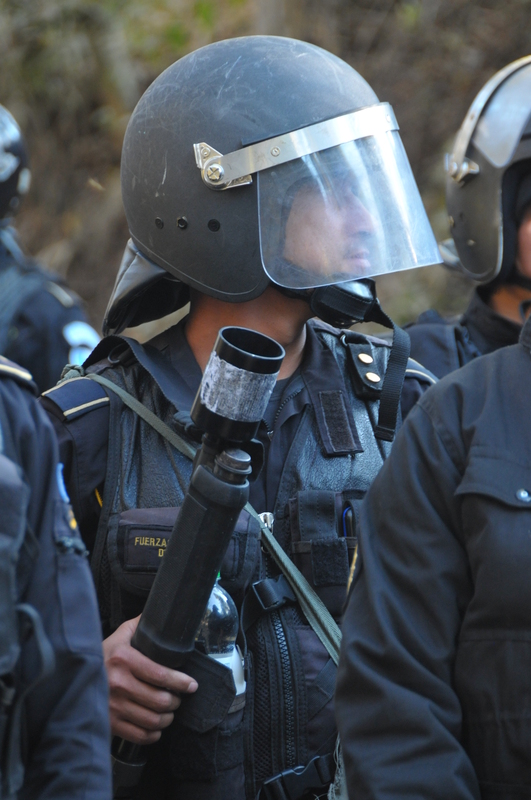 Police shot tear gas at the protesters, which include children and men and women of all ages. 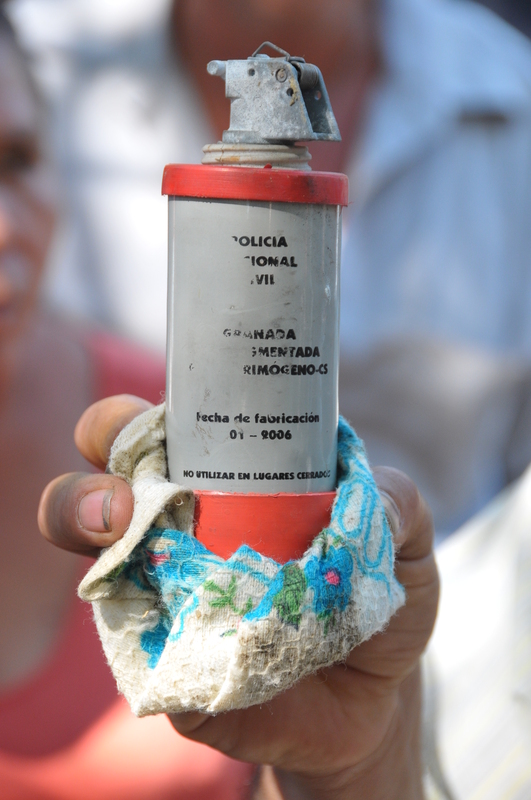 Several people, including two young girls, have been treated for tear gas exposure. Despite this aggression, the peaceful protesters have held their ground. They laid down on the street with makeshift masks covering their faces, and sang hymns to give themselves courage. Meanwhile, the police tore apart the makeshift kitchen that the protesters have been using to feed themselves, and stole food and water. the office of the Human Rights Ombudsman, present on the scene, suggested opening a dialogue between the protesters and the government, but the government rejected the idea. 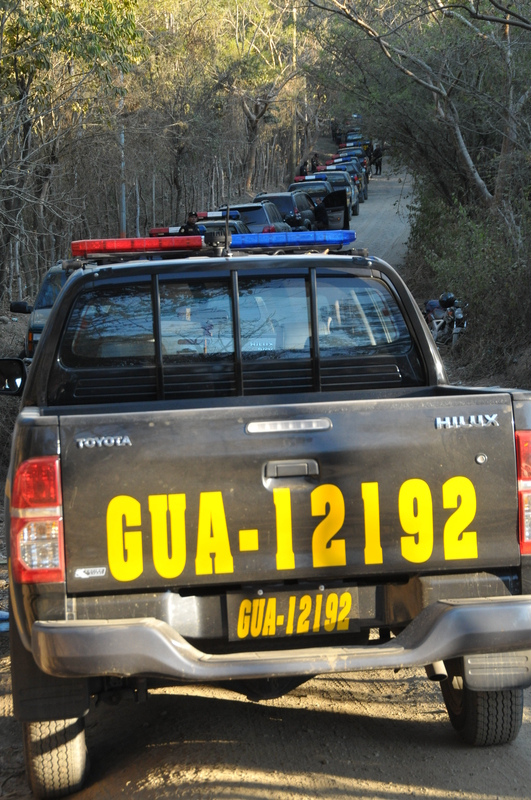 Interior Minister Lopez Bonilla was quoted as saying that there could well be more arrests, and that the police would keep using force if need be to open access for the mining company. 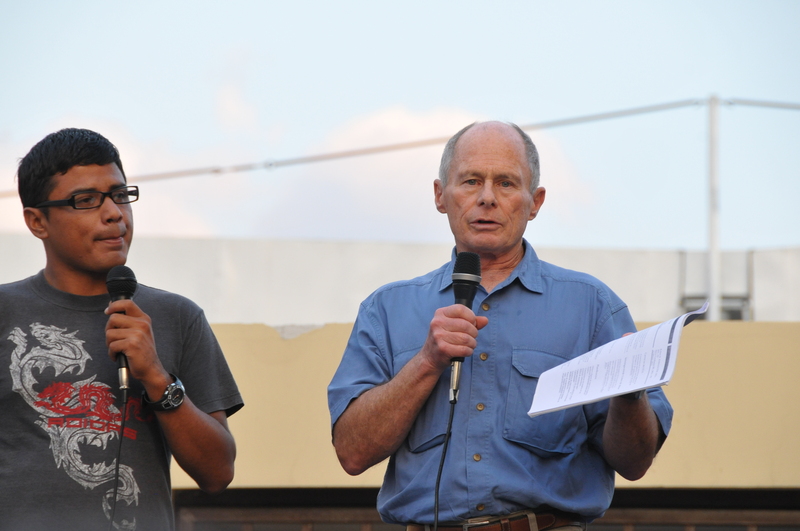 Attorney Sergio Vives explained that the actions of the police are illegal, as there is no order for the eviction of the communities. Please contact the Guatemalan government to express your concern for these peaceful protesters and demand that those detained are accorded all their legal rights. Three pieces of breaking news at the end of the day. 1) Those detained at the roadblock this morning have been freed. They were taken to the city, but the judge there rejected their case and sent it back to the Judge of the Peace in San Pedro Ayampuc. 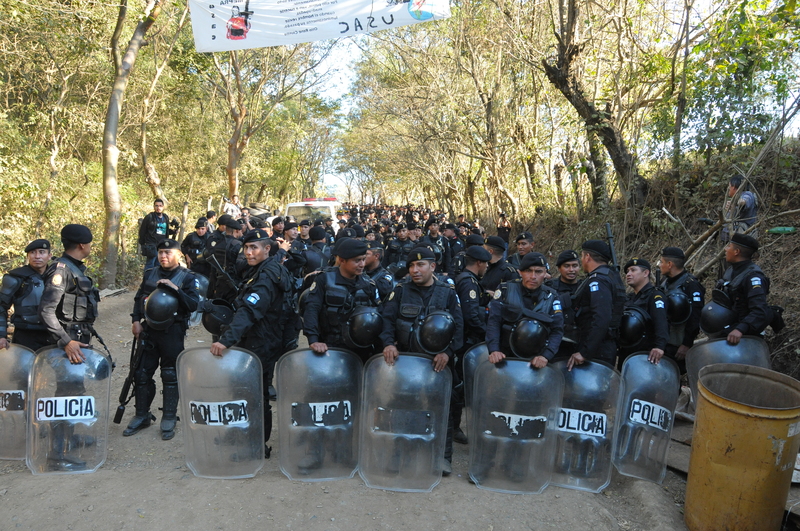 2) The government has agreed to remove the majority of the police from the roadblock. 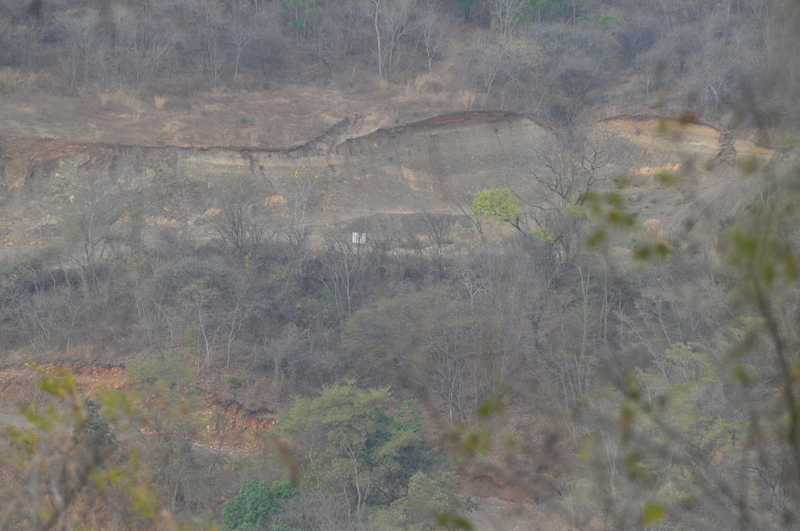 15 of them will stay over the weekend to “guard the mine” but the rest of them will leave for now. 3) In statements directly contradicting this, the Interior Minister announced in a press conference that the government will take the steps necessary to open the road to the mine. He also insultingly accused “international organizations” of inciting the community members and said that those guilty of incitation would be expelled.